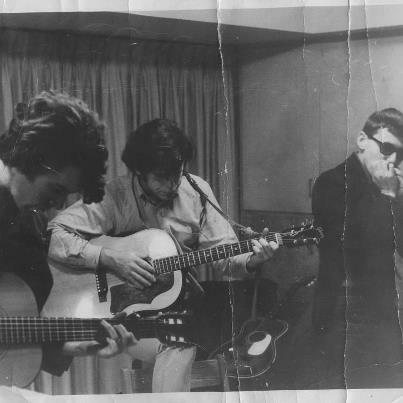 Mark (right) and friends, January 1968. I used to be annoyed with Mark’s friends and family for not at least trying to talk him out of going to war in Vietnam and then going back for a second tour. I could let myself off the hook because while I knew him and knew most of his friends I wasn’t in much communication with them. When he set his sights on the Army we were in high school. He was an extrovert, school photographer and reporter. I was catatonically shy, loving French and my few friends but otherwise being generally miserable. But that isn’t the time that concerns me now. I am thinking of when he got back after his first tour in January 1968. It is not difficult to imagine this from his point of view. We at home were protesting the war on the basis of the same abstractions that had been used to sell it: we thought the war was Wrong just as its proponents thought it was Right. Those who were actually there had a much grittier view filled with muck and blood and noise. When they came home, they were flung back into a world of speeches and marches: lots of talk about the war and it must have made very little sense. No wonder there are still stories about veterans being spit upon. Disregard is a form of disrespect. I still wasn’t in touch with Mark then or when he returned after his second tour and we overlapped for a few months in Chapel Hill, but if I had been I would have been one of those activists with nothing to say to him. I wanted to end the war but I also didn’t want to hear about it. The reality of the war was foreign to me and I wanted it to stay that way. I was getting enough reality on the television every night; I wasn’t prepared for any more. It has taken me decades of growing and maturing and then the sudden and compelling invitation to reopen those years to be able to hear his story as he has needed it to be heard all along. In his forthcoming book, Mark talks about his reasons for going to war in the first place and then returning for a second tour. He says that no one tried to discourage him because they knew when he had his mind made up there was no changing him. That may be true. Still, when I think of the worlds of foxholes – or IEDs and boobytraps – and protests, I sense the enormous gulf between them and the work it takes to bridge them. Perhaps all Mark’s friends could have done in January 1968 is to play music with him. He has said that music helped him to make sense of his experience, so perhaps that was the greatest gift they could give him. Perhaps this is all any of us can do for anyone who has endured and is still enduring an enormity of any kind – war, abuse, catastrophic illness, grief and loss. When language fails, find a way to be together, make some music, in community. I’m looking forward to his story. You are currently reading Foxholes and Protests at Susan R. Dixon.